A multidisciplinary team that works to develop QST and QSP platforms to support the development of safe and effective treatments. DSSI is headquartered in Research Triangle Park, NC but has employees on both the East and West Coasts of the United States. Our staff is multidisciplinary, including backgrounds in mathematics, engineering, pharmacology, biochemistry, and immunology. We work in cross-functional teams to develop QST and QSP platforms to support the development of safe and effective treatments. To read more about individual team members, please click on their photos below. Brett Howell, Ph.D., is the President of DILIsym Services, Inc., a company developing and using DILIsym software to improve the development of safer drug therapies. He is also an associate director of the DILI-sim Initiative since its inception in 2011. In addition to overseeing DILIsym Services operations, Dr. Howell also helps guide the architecture and use of the DILIsym modeling software. 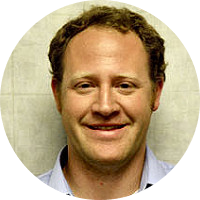 Dr. Howell has published over 20 scientific papers in the areas of PBPK/PD modeling, in vitro toxicity testing, novel drug delivery systems, and drug safety. He has given invited scientific presentations at numerous national and international meetings, including the Society of Toxicology annual meeting, the Japanese Society of Toxicology annual meeting, the annual FDA/AASLD Drug-Induced Liver Injury meeting, the American Conference on Pharmacometrics (ACOP) annual meeting, the European Microsomes and Drug Oxidations annual meeting, and the Drug Information Association (DIA) annual safety meeting. He serves on the editorial board for the prominent Quantitative Systems Pharmacology (QSP) journal, “CPT: Pharmacometrics & Systems Pharmacology,” published by the American Society for Clinical Pharmacology and Therapeutics. Prior to joining DILIsym Services, Dr. Howell was a research investigator and research scientist at The Hamner Institutes for Health Sciences, a non-profit organization that focused on translational biomedical research. He holds a Ph.D. in chemical engineering from the University of Florida and Bachelor of Science degrees in chemical engineering and textile engineering from North Carolina State University. 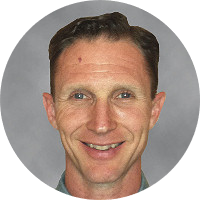 Chief Scientific Officer, DILIsym Services, Inc.
Scott Q Siler, Ph.D. is the Chief Scientific Officer of DILIsym Services, Inc., a company developing and using DILIsym software to improve the development of safer drug therapies. He is also an associate director of the DILI-sim Initiative since its inception in 2011. He helps oversee the development of the DILIsym software and is also a project manager for DILIsym services projects contracted by pharmaceutical companies. In addition to his duties in helping manage and advance the business of DILIsym Services, Dr. Siler continues to be a scientific contributor to DILIsym services projects and development. Dr. Siler is leading the company’s efforts in the development and use of NAFLDsym software, computational model of nonalcoholic fatty liver disease (NAFLD) that can be used to predict efficacy for treatment modalities developed for treating NAFLD. Dr. Siler worked for more than 12 years integrating physiology and mathematics with Entelos, a provider of in silico modeling and simulation products and consulting services. Dr. Siler managed and contributed to the development of the Metabolism PhysioLab during that time. Additionally, while at Entelos, he led multiple projects evaluating potential treatments for type 2 diabetes. Dr. Siler graduated with a Ph.D. in Nutrition from the University of California, Berkeley and a bachelor of arts in biochemistry and molecular biology from the University of California, Santa Cruz. M Bud Nelson, J.D., Ph.D.
Director of Operations, DILIsym Services, Inc.
M. Bud Nelson, Ph.D., J.D., is focused on building an innovative technology-based culture around software development and the life sciences in North Carolina through his current roles as Director of Operations at DILIsym Services, Inc.
Dr. Nelson has served on the management teams of numerous healthcare startups, including a Duke University-based incubator (MedBlue Incubator, Inc.), several life science companies, and in his current role as part of the management team and as a board member of DILIsym Services, Inc. He has more than 20 years of experience with intellectual property matters and has served as the intellectual property counsel for several biotech companies, including BioCrystal Ltd., Trimeris, Inc., Affinergy Inc., b3 bio, inc., as well as for The Hamner Institutes for Health Sciences. Additionally, Dr. Nelson is an inventor on several patents and published patent applications. Dr. Nelson holds a law degree, and Master’s & Ph.D. degrees in Immunology and Microbiology, from the University of Buffalo. He also has Bachelor’s degrees in Medical Technology from SUNY Upstate Medical Center, and Biology from SUNY Geneseo. He is a member of the American Intellectual Property Law Association, a member of the State Bar of North Carolina, and is a registered attorney with the United States Patent and Trademark Office. Principal Scientist, DILIsym Services, Inc.
Lisl Shoda, Ph.D., is a principal scientist for DILIsym Services, Inc. She joined the DILIsym software modeling team in 2011. Dr. Shoda’s research focuses on predicting and improving the understanding of drug actions on innate and adaptive immune responses. The complexity in predicting drug effects is likely related in part to the pleiotropic effects of many immune mediators and the network of feedback systems evolutionarily designed to aggressively defend against a multitude of pathogens while minimizing auto-injurious or autoimmune reactions. One approach is to use in silico methods to reproduce immune responses through the explicit mapping of known effects and feedback networks. Currently, Dr. Shoda is leading an effort to represent the contribution of the adaptive immune response to drug-induced liver injury (DILI) in the DILIsym software model. The incorporation of what is known about T cell responses in the liver, including both drug- and non drug data, is expected to organize our current understanding within a unifying framework and to identify key uncertainties that can drive future experimental design to improve our understanding of T cell mediated liver injury. Dr. Shoda also utilizes DILIsym in proprietary projects to help evaluate DILI risk for sponsor compounds in clinical development. Prior to DILIsym Services, Dr. Shoda worked for over ten years at Entelos, Inc. modeling type 1 diabetes, rheumatoid arthritis, atherosclerosis, and skin biology at Entelos, Inc. She has previous laboratory experience studying immune responses to parasitic pathogens. Dr. Shoda earned her Ph.D. in wildlife science and fisheries from Texas A&M University and received her bachelor of science in zoology from Duke University. 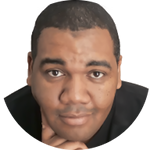 Senior Software Engineer, DILIsym Services, Inc.
Corey Berry is a senior software engineer for DILIsym Services, Inc. He joined the DILIsym software modeling team in 2017. He currently is working to convert the current version of the DILIsym modeling software to C++. 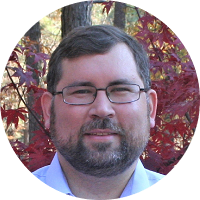 Mr. Berry has spent over 10 years working with both commercial and government agencies to design, develop and deploy end user software. Corey graduated from the University of Southern Mississippi, with a bachelor of science in computer science and a minor in software engineering. Scientist II, DILIsym Services, Inc.
Yeshitila Gebremichael, Ph.D., is a scientist for DILIsym Services, Inc. He joined the DILIsym software modeling team in 2017. 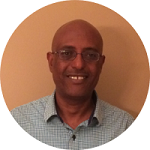 Dr. Gebremichael’s research has been focused on the the evaluation of DILI risk for several compounds with the DILIsym modeling software in addition to developing the new modeling software, RENAsym. Dr. Gebremichael also utilizes DILIsym in proprietary projects to help evaluate DILI risk for sponsor compounds in clinical development. Prior to DILIsym services, Dr. Gebremichael worked in academia where he previously served as faculty at Wayne State Biomedical Engineering Department and as a Research Scientist at the University of Georgia (UGA). Dr. Gebremichael also worked as a physiology modeler for a company that was funded by the US Army Telemedicine and Advanced Technology Research Center (TATRC) for a whole-body human physiology model development. 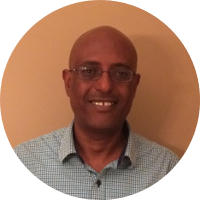 Dr. Gebremichael has several years of modeling & simulation experience in fields spanning from molecular biophysics to biomedical engineering, neuroscience, systems pharmacology, and physiology. 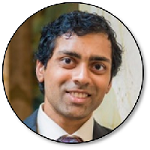 His recent research was focused on quantitative systems pharmacology (QSP) modeling of the renal pathophysiology. In collaboration with scientists at the AstraZeneca pharmaceuticals, Dr. Gebremichael along with Prof. Hallow of UGA developed a multiscale mechanistic QSP model of drug–induced acute kidney injury that bridges the link between cellular injury to drug exposure and biomarker responses. Dr. Gebremichael graduated with a Ph.D. in Chemical Physics from the University of Maryland, College Park and a Bachelor and Masters degree in physics from Addis Ababa University, Ethiopia. His graduate work was focused on modeling of supercooled liquids and polymer melts. Diane Longo, Ph.D., is a scientist for DILIsym Services, Inc. She joined the DILIsym software modeling team in 2014. Dr. Longo’s research has been focused on the development of simulated populations (SimPops) for the DILIsym modeling software. Dr. Longo also utilizes DILIsym in proprietary projects to help evaluate DILI risk for sponsor compounds in clinical development. Prior to DILIsym Services, Dr. Longo worked in the biotechnology industry for five years as a research scientist at Nodality where she led studies using clinical samples to assess inter-patient variability, to explore pathophysiological mechanisms, and to profile potential therapeutic compounds in disease areas such as autoimmunity and cancer. 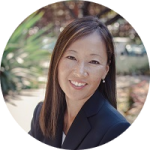 Dr. Longo received her bachelor of science in systems and information engineering from the University of Virginia and earned her Ph.D. in bioengineering from the University of California at San Diego. Her graduate work focused on the utilization of an integrated experimental-computational approach to analyze the dynamic response of signaling networks and gene regulatory networks. Grant Generaux, M.S., is a scientist for DILIsym Services, Inc. He joined the DILIsym software modeling team in 2015. Mr. Generaux has contributed to the development and use of both the DILIsym modeling software as well as the NAFLDsym modeling software. 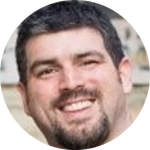 Grant worked in Drug Metabolism and Pharmacokinetics (DMPK) at GlaxoSmithKline (GSK) for 10 years, with the majority of that time focused on using mechanistic PBPK/PD to improve decision making during drug discovery and early development. He also focused on predicting metabolic- and transporter-based drug-drug interactions. While at GSK, he was one of the key individuals who drove the evaluation and adoption of SimCYP for pre-clinical drug-drug interaction prediction and analysis, and was the recipient of the GSK “Exceptional Science Award” on three separate occasions as a result of the impact that SimCYP, and PBPK use in general, had on decision-making within the pre-clinical and clinical pipeline. Grant has been an invited speaker at the Land O’Lakes conference on Drug Metabolism and Applied Pharmacokinetics, as well as the HIV & Hepatitis Clinical Pharmacology Workshop. He obtained his bachelor of science in genetics from the University of Kansas in 2000 and his master of science in pharmacometrics from the University of Maryland at Baltimore in 2014. 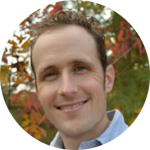 Jeffrey Woodhead, Ph.D. is a scientist for DILIsym Services, Inc. He joined the DILIsym software modeling team in 2010. Dr. Woodhead has led efforts to construct DILIsym sub-models and designing experimental studies related to bile acid homeostasis, transport and toxicity. His work has been published in peer-reviewed journals in the area of optimizing acetaminophen overdose treatment using the DILIsym software model. Dr. Woodhead also utilizes DILIsym in proprietary projects to help evaluate DILI risk for sponsor compounds in clinical development. Dr. Woodhead received his Ph.D. in chemical engineering from North Carolina State University in 2011 under the tutelage of Dr. Carol K. Hall, where he modeled the self-assembly of block copolymer nanoparticles in the presence of solutes. He has a bachelor of engineering in chemical engineering and history from Vanderbilt University. 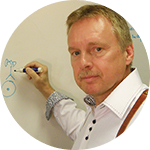 Dr. Woodhead was the initial Secretary of the International Society of Pharmacometrics (ISoP) Special Interest Group on Quantitative Systems Pharmacology, and is currently an active member of the ISoP. 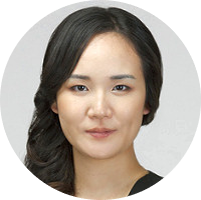 Scientist I, DILIsym Services, Inc.
Kyunghee Yang, Ph.D., is a scientist for DILIsym Services, Inc. She joined the DILIsym software modeling team in 2014. Dr. Yang’s has largely focused on the computational modeling of drug-induced liver injury (DILI) regarding interference of bile acid transport by hepatotoxic drugs. Dr. Yang has also led efforts to predict the impact to biomarkers of liver health and function due to disruptions of hepatocyte biochemistry (e.g., transporter function). Dr. Yang also utilizes DILIsym in proprietary projects to help evaluate DILI risk for sponsor compounds in clinical development. Dr. Yang received her B.S. in pharmacy and M.S. in pharmacokinetics from Seoul National University, South Korea, and Ph.D. in Pharmaceutical Sciences from University of North Carolina at Chapel Hill. Her graduate research focused on defining the mechanisms of DILI involving the interactions in efflux of bile acids and drugs. As a result of her research, she earned numerous fellowship awards. Dr. Yang has published scientific papers in the areas of drug metabolism and transport, regulation of drug metabolizing enzymes during pregnancy, and systems pharmacology modeling of DILI. She has been invited to speak at multiple scientific meetings including the FDA DILI Conference and ASCPT Annual Meeting. 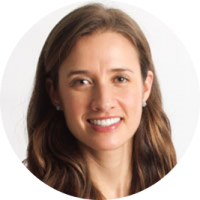 Christina Battista, Ph.D., is a scientist at DILIsym Services, Inc., and a postdoctoral fellow at the Institute for Drug Safety Sciences located within the Eshelman School of Pharmacy at the University of North Carolina, Chapel Hill. She joined the DILIsym software modeling team in 2015. Dr. Battista, along with Lisl Shoda, is exploring the role of the immune system in drug-induced liver injury (DILI) with a particular focus on mechanistic modeling of the adaptive immune system, in hopes of investigating cases of idiosyncratic DILI. Christina also works on modeling and evaluating new exemplar compounds to be included in future versions of DILIsym software. Dr. Battista also utilizes DILIsym in proprietary projects to help evaluate DILI risk for sponsor compounds in clinical development. Dr. Battista received her bachelor of science and master of science in applied and computational mathematics from Rochester Institute of Technology in 2011. Her master’s thesis modeled parathyroid hormone and cell signaling dynamics in bone remodeling to predict the efficacy of osteoporosis treatments. Dr. Battista earned her Ph.D. in applied mathematics with an interdisciplinary concentration in physiology from North Carolina State University in 2015. Her research focused on parameter estimation and modeling one-dimensional blood flow in viscoelastic arterial networks. In June 2016, Dr. Battista received an ORISE fellowship to investigate mechanistic drug safety within the Center for Drug Evaluation and Research (CDER) at the FDA under the guidance of Darrell Abernethy. Christina is also a member of the Pi Mu Epsilon and Alpha Sigma Lambda honor societies and was named a John Wiley Jones scholar at RIT. 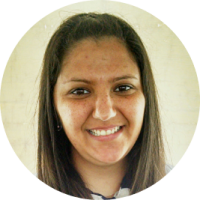 She has presented her research at numerous engineering, math, and biology conferences. Most notably, Dr. Battista has given presentations at the World Congress of Biomechanics and the Joint Mathematics Meetings. Her current work will be presented at future pharmacology conferences, such as the American Conference on Pharmacometrics (ACoP). Post-Doctoral Fellow, DILIsym Services, Inc.
Zackary Kenz, Ph.D., is a post-doctoral fellow at DILIsym Services, Inc. He joined the DILIsym software modeling team in 2017. Guncha Tuneja, Ph.D., is a post-doctoral fellow at DILIsym Services, Inc. She joined the DILIsym software modeling team in 2017. 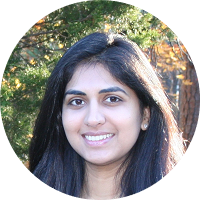 Vinal Lakhani, Ph.D., is a post-doctoral fellow at DILIsym Services, Inc. He joined the DILIsym software modeling team in 2018.